LEDs are here to stay. They have already replaced old halogens and now they are invading saunas and other hot and moist places as well. 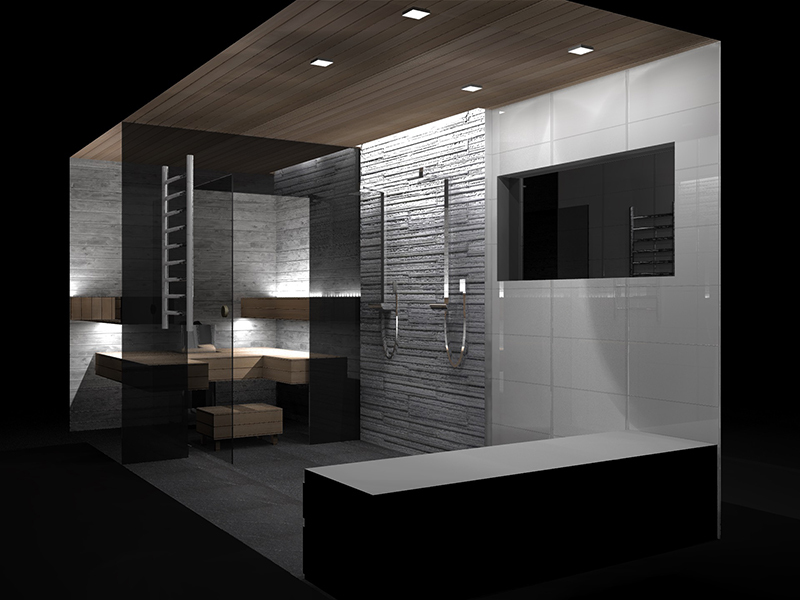 One of the most important things to take into consideration when designing lighting for sauna is not to put too much light into the space and that the color temperature is correct for the atmosphere sought after. 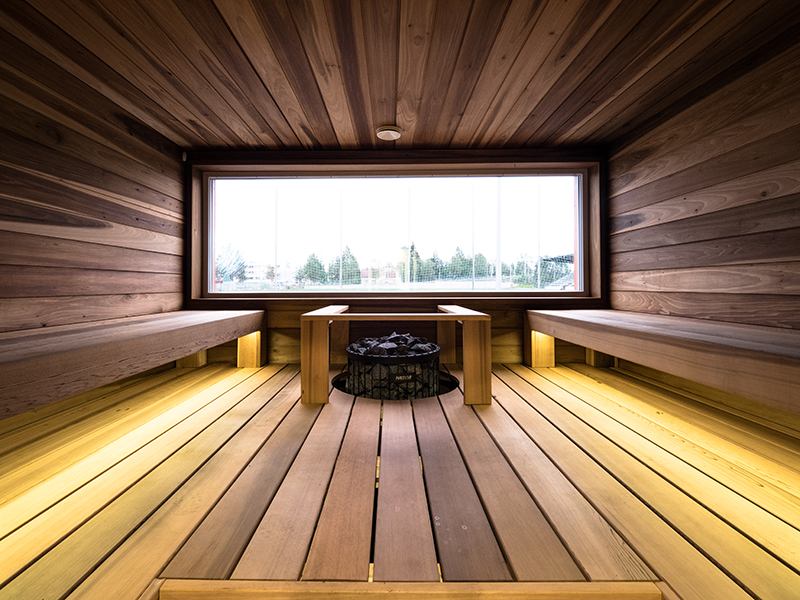 Especially when it comes to saunas, ambience is the most important aspect, and it is easily destroyed if there is too much light or the color temperature is too cold. 3000 Kelvin, 4,8W LED-strips are very popular at the moment, and when placed correctly, they are more than enough to light the whole space. Since sauna and its hot and moist conditions are pretty extreme for anyone and anything else but the Finns spending all their spare time in the heat, it is very important to concentrate on the quality and suitability of the products used. The temperature and moisture vary fast in a small space, so the power supply of the LED must be designed for such conditions. IP-class is something to monitor carefully: if the power supply is placed up to one meter of height, the IP-class should be at least IP24, and if placed higher the IP-number should be higher as well. The placement of the luminaires as well as the installation should be designed carefully: for example, when using LED-strip, the recommendation is to place it between 1 to 1,2 meters of height since after this the temperature is escalating quickly. However, the recommended height is not standardized, so the LED-strip can be installed even higher but then one should check the temperature restrictions of the luminaire set by the manufacturer before installation. LED-strip should always be installed inside an aluminum profile in order for the warmth generated by the LED to conduct via the metal. This prolongs notably the life span of the LED and also raises the IP class – e.g. IP20 turns to IP44 thanks to the profile. And a small hint to all you cleaning addicts out there: the strip is also easier to keep clean thanks to the aluminum profile. 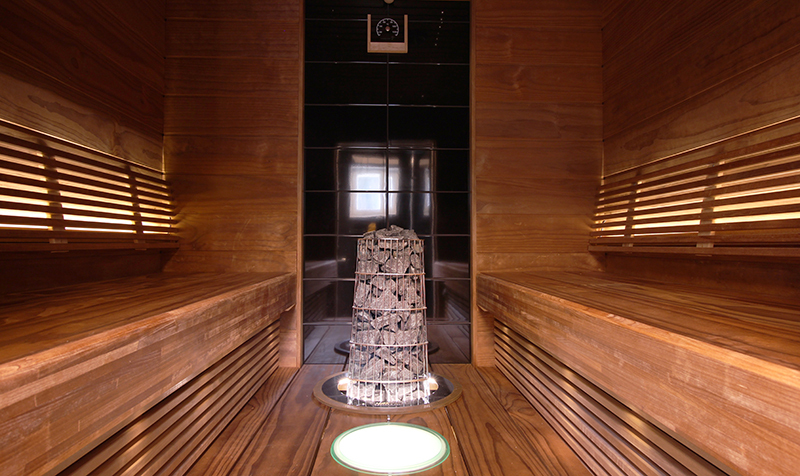 Since drilling the ceiling and the insulation or steam blockade is not advisable and most of the mountable luminaires require these holes, mountable LED-luminaires are not recommended when it comes to sauna's lighting. In addition to this, even the power supplies with the highest of IP-classes are not very keen on the rising temperatures near the ceiling. Thus it is not a surprise that the usage of LED strips is becoming more and more popular thanks to its easiness, razzle-dazzle and atmospherics. 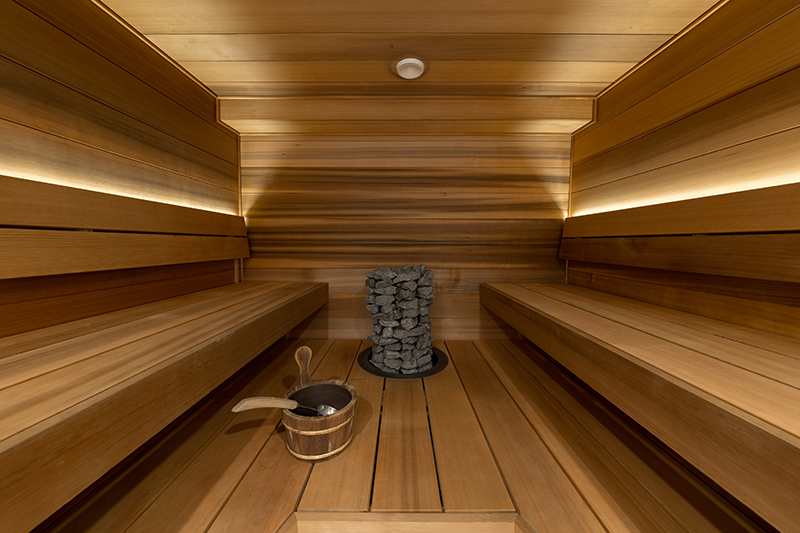 Regardless of the size, use or age of the sauna, it goes without saying that the right lighting is apt to completing that peculiar atmosphere prevailing in this special room.